You are the current highest bidder! To be sure to win, come back on 25 Feb 2018 19:06 GMT Date Format as the lot closes or increase your max bid. 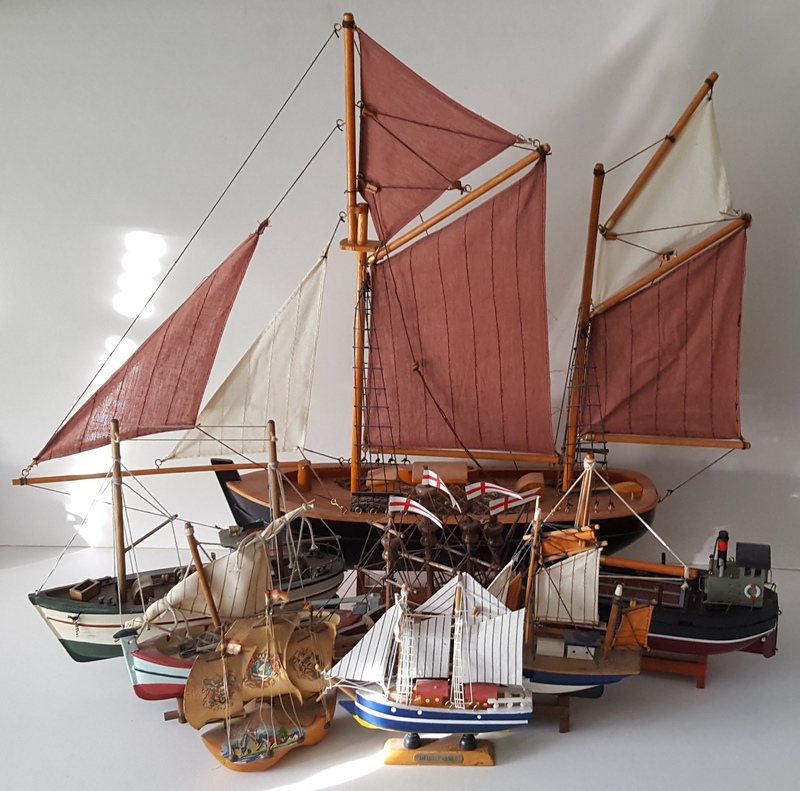 Vintage Retro Collection of 8 Model Ships. Part of a recent Estate Clearance. Location of Items Stafford UK ST16. DELIVERY - The group clearing this stock will handle all deliveries using UKMail or MyHermes. Closing auction invoices do not include delivery unless stated within the lot description. --- SHIPPING FOR THIS ITEM: - Buyer Can Collect or Contact Vendor (Details on Auction Invoice) for UK shipping prices.